Thanks to Google India for taking an opportunity to introduce Cyber Monday in India. Cyber Monday is well known in US and is celebrated every year in the month of November, where Americans can get big deals on Electronics, Apparels, Books, Gifts, Mobiles, Tablets, Laptops, Cameras, TVs, Jewellery etc. The same was introducing by Google in India which was partnered with many Indian E-Commerce players and celebrating on 12-Dec-2012. Multi product sellers - Ebay India, FlipKart, Snapdeal, Infibeam, Indiatimes Shopping, Homeshop 18, Apparel stores like Myntra, Zovi, Inkfruit, Basics Life, Shoppers Stop, Yebhi, Zovi, First cry, 99 Labels, Electronics stores Gadgets in, eZone online, Airtel, Croma retail, naaptol and other like allschoolstuff, Bookadda, JewelsKart, Watchkart, bagkart, 21 Diamonds, Caratlane, Skoda, HDFC, ICICI, makemytrip, Yatra.com, redbus, goibibo, Jet Airways, Monster group, Shine and more are participating on Great Online Shopping Festival on this 12th. 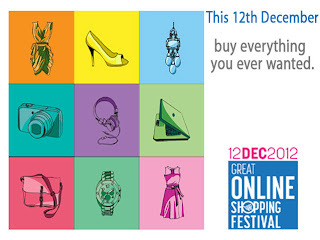 You can get the deals upto 50% on this day. "The online shopping industry is already over $1.5 billion and with this initiative, we want to reach out and promote online shopping to the first time buyers," Google India MD and VP Sales and Operations Rajan Anandan said. "For this 24 hour sale, we have lined up some really exciting offers from our portfolio of 500 brands and we're confident that shoppers will come back for more," Myntra.com Co-Founder and CEO Mukesh Bansal said. So shop till your mouse breaks....! 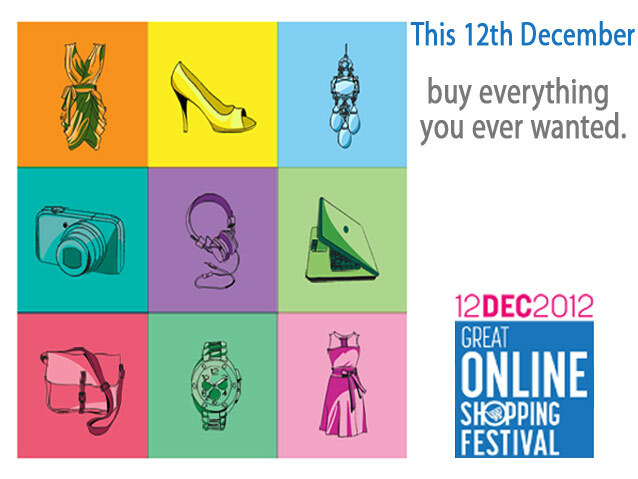 So what are you shopping for this festival ? Share with us. Tags: Cyber Monday in India by Google, Deals, Buy online, Buy Phones, tablets, laptops online, list of websites participating in Online festival, revenue, iPads, Laptops, Mobile phone deals, online deals in India.